Cysteine (Cys, C) is one of the 22 amino acids present in proteins. Like all of the amino acids, cysteine has two functional groups: a carboxyl group (COOH) and an amine group (NH2). It has the following side chain: -CH2-SH (a thiol group). Cysteine is a hydrophobic amino acid. 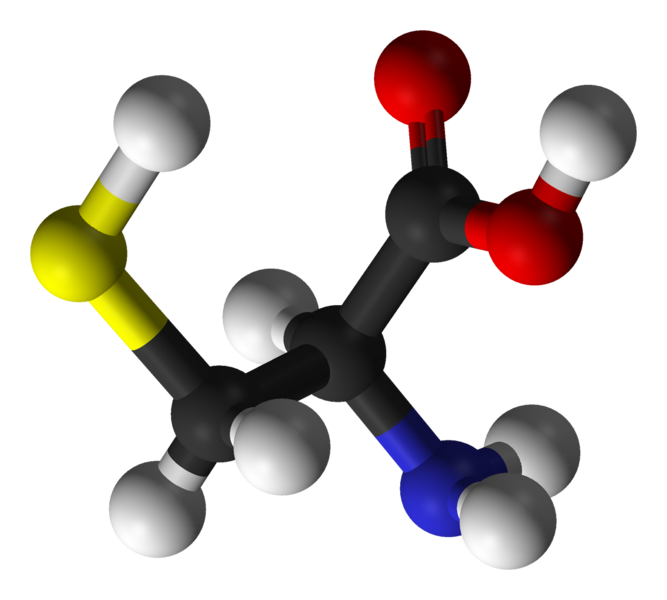 Cysteine is not an essential amino acid as it can be produced by the body from serine and methionine. It is involved in the synthesis of melanin. Cysteine is involved in the formation of disulphide bridges between two sulphur atoms in the same protein or in two adjacent proteins.